The papers published in this volume were all read at a weekend symposium held at Stafford House, Hassocks, East Sussex, from 29 to 31 July 1977. The main purpose of the symposium was to bring together all the archaeologists, both amateur and professional, currently working on the archaeology of Sussex. Fifteen archaeologists presented papers and were asked to summarise their contributions for this volume. 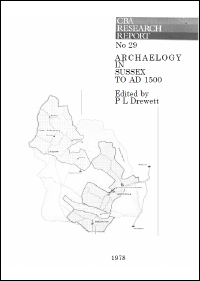 By doing so it was thought that we would produce a useful summary of the archaeology of Sussex both for Sussex people and for the archaeological public at large.